KP Engineering’s Rasgulla Machine is best way to make capsule rasgulla with less Human power with High production capacity With SS 304 Body. 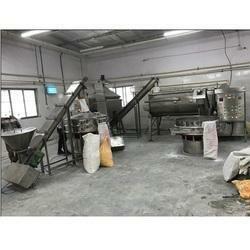 This machine is also Best option for production of Rasgulla, Capsule rasgulla. Ideal For Making Of Gulab Jamun, Rasgulla , Rasmalai Balls & Sweets in Round & Roll shapeThe Pedha Making Machine has been designed to be one of the most presicious, versatile pedha making machine available today. With an intuitive, easy-to-use electronic control panel and the Pedha Machine is capable of producing 4 gm. By keeping the track of the latest market trends, we are engaged in manufacturing an exclusive range of Rasgulla Making Machine. Our company has gained name and fame in presenting Rasgulla Making Machine. Flexo Pack Machines Pvt. Ltd.
Suntex Boilers & Engineering Pvt. 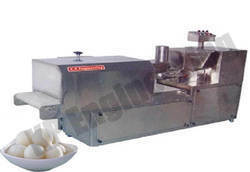 Ltd.
we are the leading manufacturer and supplier of Rasgulla making machine.